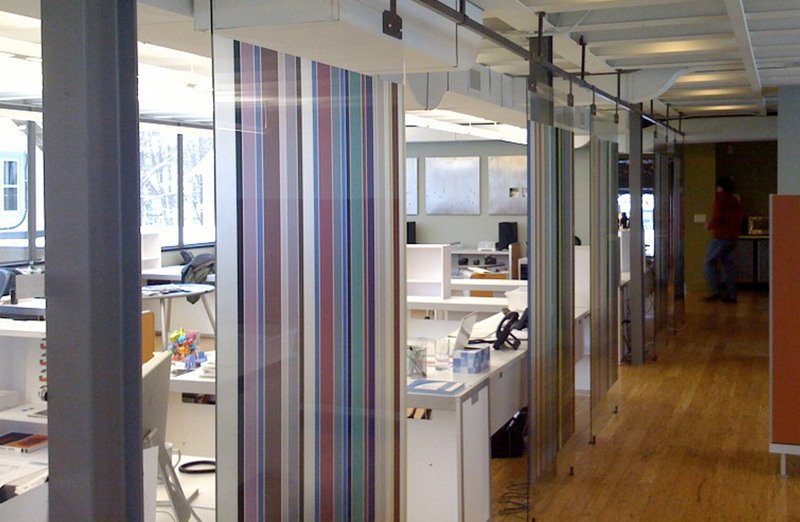 Highland Group, an advertising agency in Grand Rapids, MI, relocated to 645 Cherry Street. 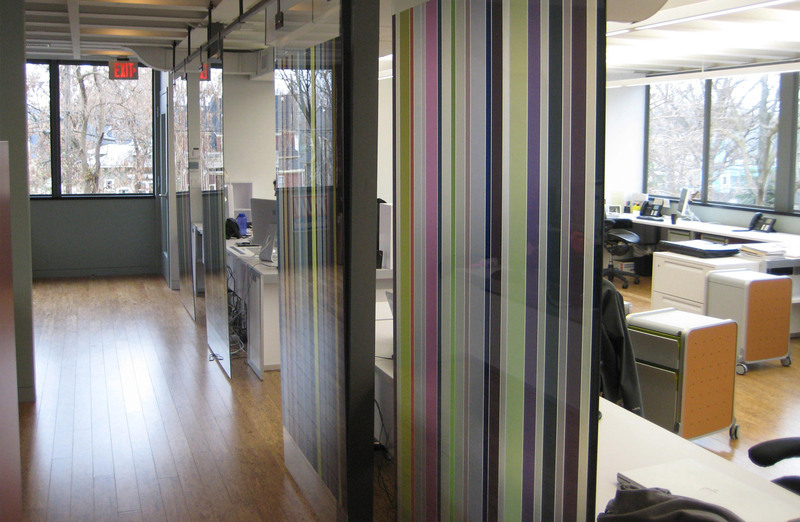 We worked with them to develop six glass panels that could help divide their open workspace and add visual energy. The panels were also a representation of HG’s openness to the neighborhood, bringing the colorful energy of Cherry Street indoors. 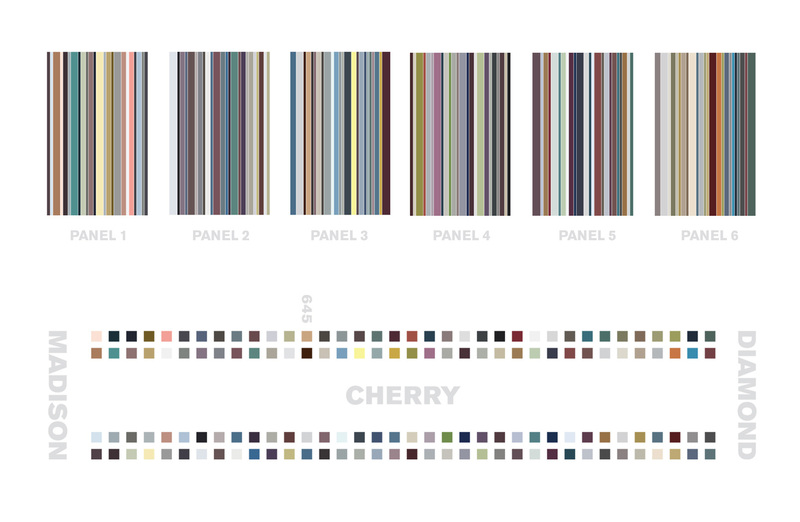 The vertical colors throughout the panels correspond to house colors on Cherry Street between Madison and Diamond Avenues. And each house was represented by two colors.